There has been always a huge gap between the advice and directive of Organic Farming and its implementation at Belseri Tea Estate. The primary reason was the very different understanding of every member of the implementing agency i.e. manager to assistant to workers, though there was always a clarity in the top management about the whole project. The members of implementing agency were all exposed only to chemical farming and the Principle of Organic Farming in spite of being very natural and extremely scientific absolutely different to them. Earlier they were tuned to push bottom system in chemical farming by only attending manifestations and the philosophy of Organic Farming motivated them to interpret the root causes of every manifestation. Thus, it was all together a different exercise for them. By third year the implementing team at Belseri Tea Estate became fully involved and has started implementing the guidelines of Organic Farming in a much more integrated and effective way. Is there any effort on Eco Farming at Belseri Tea Estate? 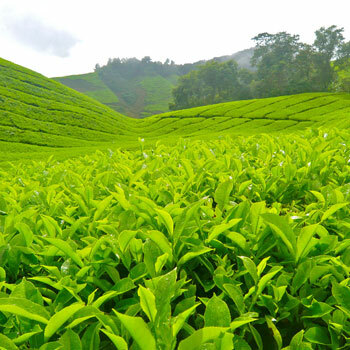 Belseri Tea Estate has undertaken an Eco-Farming project under which different vegetables for daily consumption and fruits such as Leeches, Mangoes, and Guava etc. are grown. This project is also unique of its kind and probably the first time in any tea garden which has been set up to grow vegetables and fruits and Paddy without toxins and for free of cost distributions to the workers’ families. This is a step towards formation of an Organic Village, which is also first of its nature, where organic culture will be developed in the livelihood of all the inhabitants with a strong awareness of the vicious cycle of chemical agents. The final objectivity is to make complete 450 hectares of the garden area as “no chemical zone”. During the first year at Belseri Tea Estate about 60 hec were taken with part of the area taken as control where normal chemicals and conventional farming practices were used. Incidentally, all projected areas were generally more pest prone or termites infested which alone causes poor yield compared to their control part. 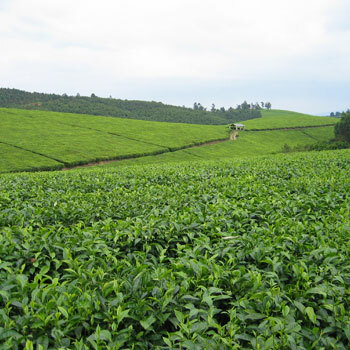 By mid- April, 2006 decision was taken to take the whole garden of Belseri Tea Estate under the project. Keeping in mind that the decades of chemicalised farming had eroded the plant’s twin natural power to feed it self and to protect itself and till the time complete understanding about the philosophy of Organic Farming develops in implementing group. At the same time there was a deep commitment to revive the whole garden to its natural stage. In the first year, in the projected sections no fertilizer was applied and again none was applied in the second year in those areas and the rest of the total garden (450 hec)no fertilizer are applied. In the second year the fertilizer application in the whole garden has been brought to zero. There was advised to apply indigenously developed compost of mulching, green manuring etc. In the third year, by March about 1.2 million kg (2.6 million lb) of compost using green matter and cow dung was generated under organic method and applied at the rate of 2 tons per hec. Similarly usage of pesticide was reduced drastically from the first year and reached to almost zero level in the second year. Slowly but steadily the plants and soil are getting de-toxicated, energized and activated giving a very positive and noticeable impact in the total surrounding environment with a growth in soil flora and fauna, birds, reptiles etc. Interestingly the various soil organisms which were turned into enemy of the plant system by chemical agriculture like termites are slowly returning back to their original system of inhabitation causing even betterment to the soil and also the plant system. Thus Belseri has been able to reduce pesticide and fertilizer use to almost zero level within two years. One thing to be remembered that till second year the spraying of various solutions could not be done as per advice because the implementing group from the manager to the assistant was exposed to the conventional farming and Organic Farming was very new to them. Gradually with better understanding of the system by all the concerned people, better implementation and improved management in using the technology, the group is expecting to do much better in future.